The general population of the world has no idea about these sunken cities, some call them the cities of Atlantis; but that is just myth. These sunken cities predate all other known civilizations on earth by thousands of years, so what exactly does that mean? Well it means we are entirely wrong about the history of human civilization, a host of people will tell you these cities are related to celestial help, basically aliens. 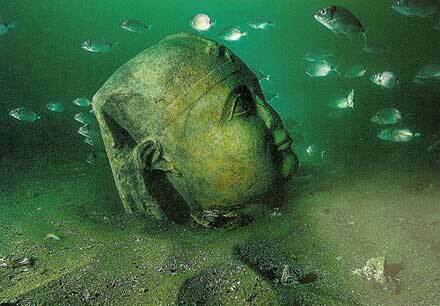 I'm not saying I believe that but I do find these 3 sunken cities to be extremely interesting. There are hundreds of smaller sunken cities that have been found around the world, usually attributed to the hunt to find Atlantis, but these are true cities that existed in a time we thought we where all living in caves. The Cambay Ruins, found off the coast of India in the bay of Cambay is one of many ancient sunken cities we currently know about. 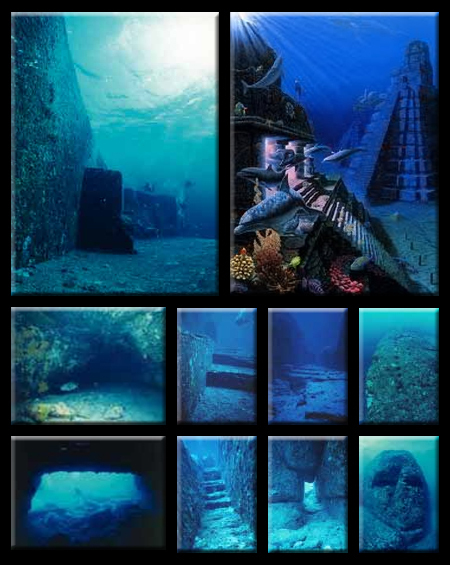 The vast city lies 120 feet below the ocean's surface, it is 5 miles long and 3 miles wide, it predates the oldest known civilizations by around 5,000 years. It was discovered in 2001 on accident by India's National Institute of Ocean Technology as they where testing pollution levels. Found within the ancient sunken city is pottery, human remains, and a structure resembling that of the early pyramids, keep in mind that this city sank 5,000 years before any other known civilization, but it is believed to have lived in prosperity for 4,000 years before that. Stone statue resembling that of the Egyptians. Montage of the Ruins of Cambay (computer generated from scans). Enormous structures built 9,000 years before the Egyptians. 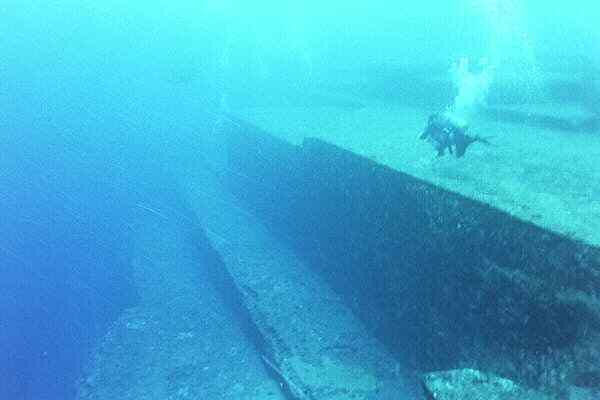 Off the coast of Yonaguni Jima about 70 feet below the surface of the ocean is the Japanese Pyramid, usually called the "Japanese Atlantis". 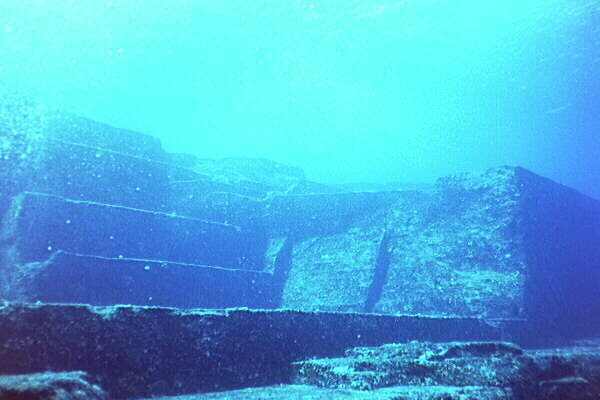 These ruins are 5,000 years old and are believed to have sank 2,000 years ago after a massive earthquake. A Japanese professor of marine biology, Masaaki Kimura has been diving the site for nearly 20 years, the one thing he always tells the media is (roughly translated) "Every time I go down, I come back up believing this is the remains of an ancient city." While this is not as surprising as the Ruins of Cambay, the Japanese Pyramid itself is still very intriguing. The Pyramid is enormous with a ton of right angles, meaning it could not have been formed, rather it had to be artificial, take a look at the images below. 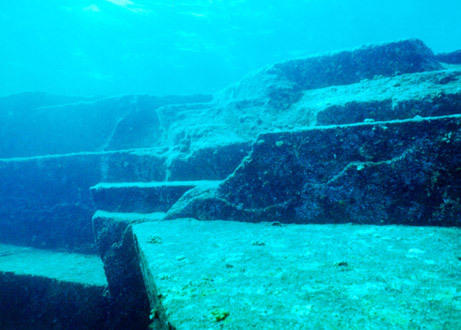 Step Pyramid of Yonaguni. 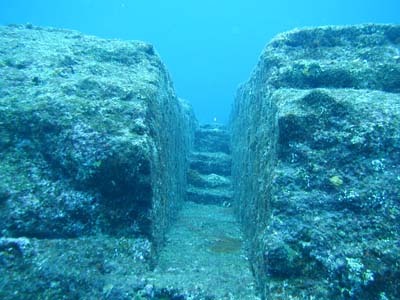 Ancient Yonaguni Walkway. Tons of right angles. Just to give an idea of how big it actually is. About a mile below the surface of the ocean in the waters of Cabo de San Antonio is the most intriguing of these ancient sunken cities. This one is thought to have sank at least 12,000 years ago, it was found by Paulina Zelitsky a Russian/Canadian oceanographer 15 years ago. The theory is that this city was old enough to exist during the Ice Age, the problem with this one though is that it is so far below the surface that it is nearly impossible to truly investigate it. Over time we have slowly upgraded our deep sea diving technology, and in this time Zelitsky and her family have used the newest available gear to further examine the sunken city. So far they have found the remains of land animals, enormous ancient stone structures that resemble the faces of easter island, and yet another Pyramid. This city is still being debated as a "natural formation" by hard headed scholars trying to disprove the existence of civilization before Ancient Sumer, but the proof is all there. Unfortunately there are no real images of this because of the extreme depth, the only thing possible of even reaching these depths are robotic dive camera's, however there are some computer generated ocean scans of when they found the city that shows its size and structure, I believe the overall estimate is "about the size of a modern city." Computer generated image based off ocean scans. These are just some of the multiple sunken cities we have found in the last few decades, these are ultimately my most favorite but if you want to keep looking into this, try searching for the sunken city of lake Titicaca.